Even though Alexandria is a full-blown medium-sized city, with over 150,000 residents it qualifies as the 8th largest community in Virginia, it is, in fact, a very genteel, suburban city. Alexandria possesses an exceptionally high percentage of citizens who would be considered white class workers. It is also a city for young, upwardly mobile individuals who are looking for a place to call home before they start a family. While Alexandria has been around since the dawn of the nation and boasts some aesthetically pleasing centuries-old architecture, the government and the city itself are a modern masterpiece For over a decade Alexandria has ranked in the top 10 of the most digital cities in the United States, as determined by the Center for Digital Government. This ranking is earned based on IT development in the city, government policies, and operations in regards to digitization, and community engagement. What this clearly means is that the city is run in an efficient, modern fashion and that it is perfectly suited for the many white collar inhabitants, over 95% of whom work with computers. Alexandria is home to a large, respectable single population, but still is perfect for a family as well. They have great recreations and parks system and the school system is consistently ranked among the highest in the nation. There are less than 300 violent crimes committed each year, which, in a city of over 150,000 is pretty incredible. 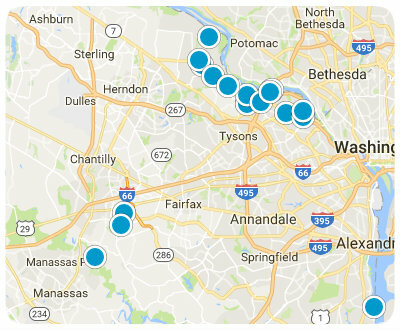 Mass transit is readily available to commute to work, and for those who work in DC, the downtown of the Capital itself is only 7 miles away! The location is fantastic in fact, which is one of many reasons that Alexandria has such high property values, among the highest in the country. As the city is big enough to offer activities to those with an active social life, small enough to be safe, clean and comfortable, and close enough to Washington DC, it offers the best of all worlds, earning its incredible property value. Curious to know what homes are selling in your neighborhood? Sign up here for Alexandria Market Report to be up to date on real estate market statistics. 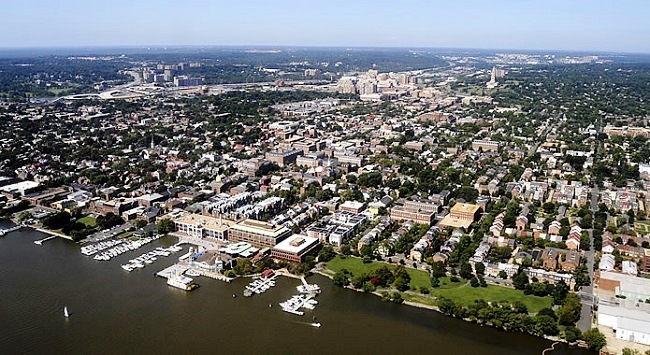 Wondering how much your Alexandria home is worth? Learn more here!